We neutralise geopathic stress in the most efficient, safe and cost-effective way. Successful in more than 30 countries – a unique, permanent treatment similar to remote healing, dowsing and Feng Shui techniques. When I receive your order I will check that your property is affected by geopathic stress and clear it, usually within 24 hours. I will send an email to confirm that the clearance is complete. 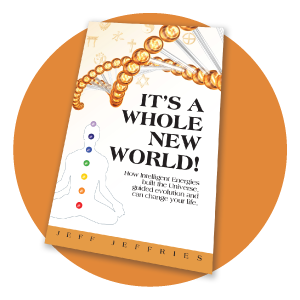 Jeff Jeffries’ story of the natural, interactive energies that make a world of difference to everyone and everything! ‘A fascinating, enjoyable read!’ Kindred Spirit Magazine. 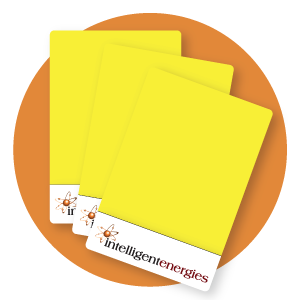 Clients have reported that our Yellow Card may help with tummy troubles such as indigestion, acidity or feeling ’bloated’ and that it may also help with muscular or skeletal pain such as stiffness, strains, cramp or some arthritis.